Appalachian Offroad is now stocking Australian made FunnelWeb Air Filters! We are proud to be the ONLY distributor for FunnelWeb in the United States. Read below for details on what makes these the choice of many Factory Race teams. These high performance air filters are in stock and available for the most common KTM, Husqvarna, Beta, and other offroad bikes. Order now or contact our Support Center for more information. FunnelWeb's unique pyramid profiled foam bonded to an injection molded urethane seal produces a tough, long lasting air filter which boasts vastly improved dust holding capacity while delivering consistent optimum air flow. 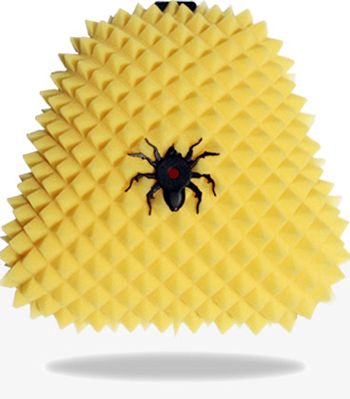 FunnelWeb utilizes the latest technology in open cell polyurethane foam profiling to substantially increase the filter's surface area enabling it to trap far more dirt on its outside surface and to prevent it penetrating through.